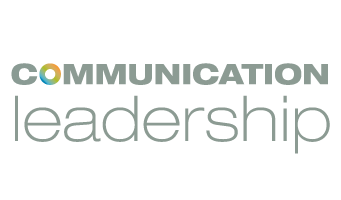 Joining the Communication Leadership program opens up a wealth of departmental and university-wide resources to our students. Dive into the details by reviewing our Comm Lead Student Resources Guide, which includes valuable information on policies and procedures pertaining to Comm Lead, the Graduate School, and UW. The CMU building, which houses Comm Lead, offers our students a variety of tools and spaces to craft their stories. If you need to edit, lay out a graphic design, or do statistical work, head to one of the PC and Mac labs to use our state-of the-art software. A huge selection of cutting-edge equipment is at your fingertips. You can rent anything from the latest GoPro to a whole lighting kit from the jam-packed coffers of CMU 318A. Not sure how to use that shiny new equipment? Last year, the UW Communication department unveiled its new, state-of-the-art recording studio for currently-enrolled students. The recording suite in CMU 222C is “equipped to make your audio or video projects a success.” The space includes recording and editing equipment for taking students’ podcast or video production skills to the next level. The technology team has also installed a separate bring-your-own-equipment isolated audio booth. This small, ventilated room—completely lined in sound-deadening foam—allows students to get a clean, voiceover-quality sound from any recording equipment. This room is open for drop-in access. For room reservations, including the recording studio, click here. To receive training to access this space, students should email tech4com@uw.edu or check our Professional Development Workshops page for more information.